Due to liability concerns and limitations in space, we ask that your children accompany you to the salon for their hair appointment only. Children must remain seated in reception area with adult supervision. For your convenience we accept Visa, MasterCard, checks and of course cash. Please note while gratuities are not expected we are unable to add them to credit or debit card transactions. It is important to us that our guests to receive a “no compromise” experience. If you are dissatisfied with your service, we will gladly adjust the original service at no charge within one week of the original appointment. Changes from the original design or color will be subject to an additional fee. If you do not wish to see the original stylist, we will do our best to match you with another stylist if openings are available. If you are returning or exchanging a product, it is our pleasure to provide you with a product of equal value or a store credit provided the product is unused and or in a re-sellable condition. Product must be accompanied by receipt and returned within 10 days of purchase. In order to provide the best possible services and to stay on schedule we ask that guests refrain from cell phone use while services are being provided. Professionals realize that a change in stylists from time to time is refreshing. Please do not assume that a stylist’s feelings will be hurt if you decide to change. Please don’t feel uncomfortable. We work as a team! What does this mean for you, our guest? In order to accommodate a variety of tastes and budgets, we use a level system to help you choose a team member that is right for you. A stylists career path, experience and demand, helps determines the stylists level, which in turn increases that stylists pricing. In the event your stylist moves up a level and their price should exceed your budget, we will be happy to refer another competent team member for you. 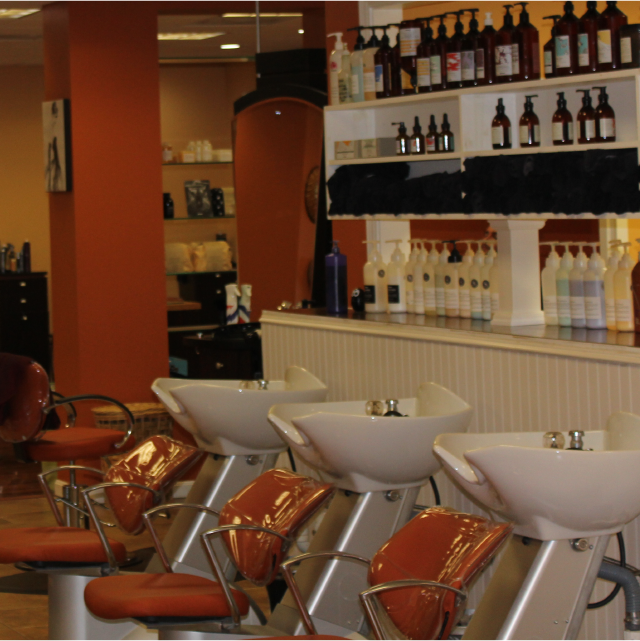 We want to ensure you that all our stylists will give you great service and product recommendations. Salon 730 prides itself on continuous education. All team members are committed to bestowing upon you the highest level of service. What is Cezanne Perfect Finish Keratin Treatment (CFP)? CPF is a transformational, long-lasting and 100% formaldehyde free salon treatment that brings hair to its ideal, most beautiful condition without damaging or dangerous chemicals like formaldehyde, which can be found in other straightening or smoothing products. Who can use the Cezanne Treatment and what are the Results? Cezanne (CPF) can be used on any hair type and texture, whether the hair is colored, damaged, bleached, or highlighted. Note: color can be done before or after the treatment. The 100% formaldehyde free treatment will reduce frizz and deliver straighter, smoother, stronger, healthier, more manageable and exquisitely beautiful hair that will last for months. By using the best quality ingredients, without the unpleasant odor, CPF outperforms and outlasts carbocisteine and amino acid products. CPF doesn’t break the disulfide bonds, which can be damaging to the hair, and washes out over time, so there is no permanent change to the hair and no line of demarcation between treatments. CPF work from the inside out to strengthen and fortify hair, results with CPF mean hair is not only smoother, but also healthier and more manageable. The ingredients change the actual curl pattern of the hair and lock it into a smoother, straighter shape. After blow drying and sealing the cuticle of the hair with heat with a flat iron, the moisturizing and fortifying ingredients are locked into the hair to smooth and renew from the inside out. What is the “Flamboyage” technique? Flamboyage colour results are unique, very natural and blended, personalized and long lasting, and they are obtained without damaging the hair. It increases hair colour depth by enhancing spontaneous reflects while allowing you to have minimal regrowth as your hair grows out. What is the Ombre technique? Having colors or tones that shade into each other —used especially on those wanting a natural progression of dark natural regrowth area and sunkissed lightened ends. The Smoothing Therapy line is comprised of advanced, in-salon treatments that restore and restructure the hair by infusing a special blend of hydrolyzed keratin deep into the cuticle. The hydrolyzed keratin is bonded to the cuticle with heat from a flat iron to relax the hair’s subcuticle layer, resulting in renewed smoothness and shine. Can the hair be colored before or after the treatment application? A great time to have the treatment done is directly after permanent color, semi-permanent color or highlights. The treatment seals the color in, making it last longer and appear more vibrant. Why is grocery store color bad? First of all, it can damage your hair because the pH level is high. The color we use at Salon 730 has a pH level that is closer to the natural pH level of your skin and hair, making the color gentler, leaving you with better coverage and healthier hair. Secondly, store bought color contains high levels of preservatives to increase shelf life causing a higher risk of allergic reaction. Lastly, even though the prices seem good, only licensed salon professionals should handle, mix and apply chemicals to the hair. We custom mix our shades to create the best possible tone for you, something one cannot do with “store bought color” It is too easy to make mistakes when applying at home resulting in a very costly salon visit to correct the problems.